When your oven breaks, it can throw everything in your kitchen out of whack. Like a lot of your other appliances you may have in your home, you never realize just how important something is until it breaks and you can’t use it anymore. Rather than breaking out the camping stove, having a reliable repair service you know and trust to call in an oven emergency is essential. You’ll be able to survive a few days without the use of your oven, but having a repair service makes it easier to keep your normal kitchen routine. Finding a Reliable Stove Repair service center in Denver doesn’t have to be as difficult as it seems. Just as you would with your other appliances, making sure you have a service team you know and trust to fix your appliances properly the first time around is the most critical factor to look out for. All too many times we’ve had the same experience of calling a repair service for an appliance emergency, only to have the same appliance break down hours or days after it was ‘fixed.’ With Denver’s Best Appliance Repair, you know that our fixes will stick. Our experts are well versed in the many different ways your oven can misbehave, which is why we know how to fix the problem quickly. 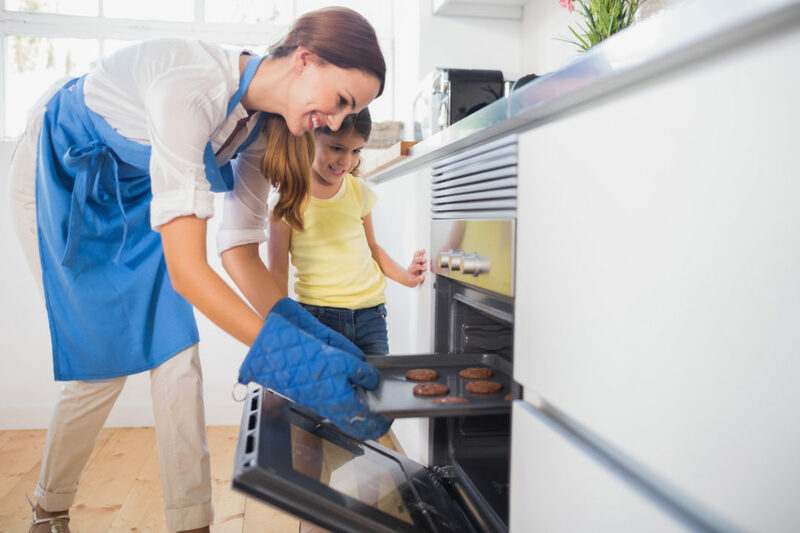 Living without your oven isn’t impossible, but it’s much easier to have working appliances in your home than to struggle to find temporary solutions. Denver Stove & Oven Repair can take care of common stove and oven problems such as uneven cooking, not heating to the correct temperature, replacing heating elements, and more. Any appliances that get often used, like your dishwasher, washing machine, refrigerator, and oven, get worn out over time. Regular maintenance of these appliances can help prevent complete breakdowns, but occasionally your appliance will break with little or no warning. Sometimes fixing your oven is as easy as replacing an ignitor, repairing a broken line, or seeing if your heating elements are doing their jobs correctly. We can check to see if your oven’s temperature sensors are working properly, or if it’s just the position of the cooking racks that are making things seem like they aren’t working. If you do notice that your oven isn’t working the way it usually does, give Denver’s Best Appliance Repair a call. We can service your oven and can fix both the little and the big problems that affect your home appliances. Denver appliance and repair services are available from Denver’s Best Appliance Repair on emergency schedules, which means we can get to your house soon after your oven or another appliance breaks down. Denver’s Best Appliance and Repair also works in Littleton, Centennial, Aurora, Lakewood and the rest of the Denver Metro area. No matter where you are in Denver and the surrounding areas, we want to make sure that you know the right stove repair service to call when you need repairs done the right way, the first time you call. No Replies to "Oven Repair Denver - Choosing a Repair Service"
Oven Repair Denver - Choosing a Repair Service Overall rating:	5 out of 5 based on 6 reviews.